. A perfect holiday gift for every aspiring Diva — both young and mature. A handbook to living with impeccable style and grace! Style columnist for The Times of London and Godparent to Prince William, Lucia Van Der Post, shares her years of wisdom and insight from across the pond. 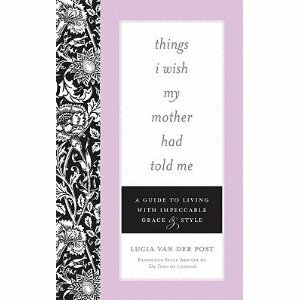 A warm engaging memoir-like guide dedicated to mastering and enjoying the journey called life.